Acid descaling sanitising detergent for cleansing and elimination of any lime scale deposit, calcium residues and rust stains from all washable surfaces. Recommendable to keep deeply cleaned and descaled any sanitary ware in washrooms and for the periodical cleaning of swimming pools surfaces and where it is necessary to remove any lime scale deposit. 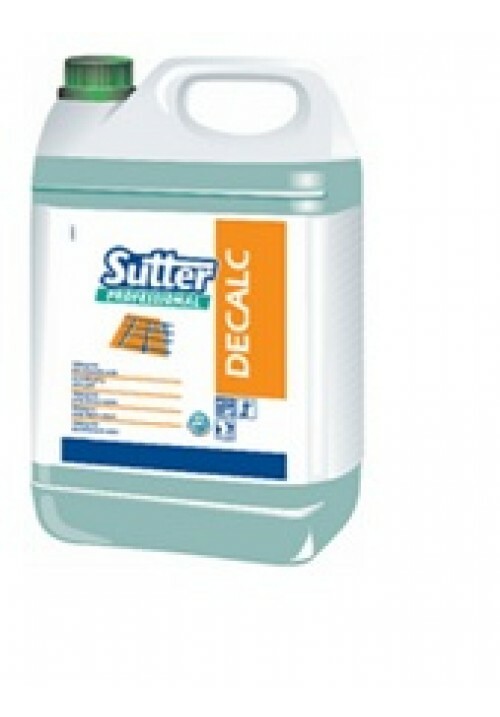 It removes mineral residues from terra cotta and concrete floors. Spray the product onto the surface to be cleaned. Wipe with a damp cloth or sponge. Leave to act and rinse.